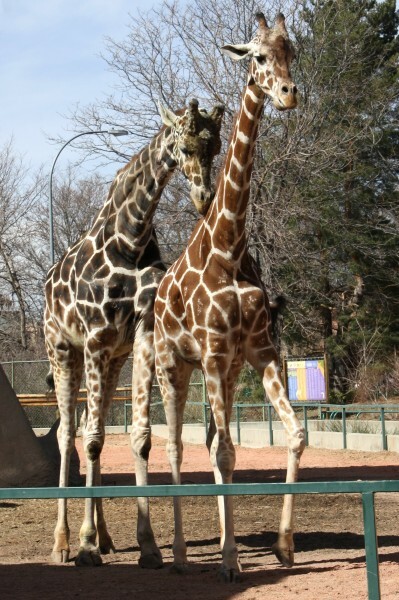 Free high resolution photo of two giraffes taken at the Denver Zoo. One giraffe is sort of snuzzling the neck of the other one. Free picture for any use.